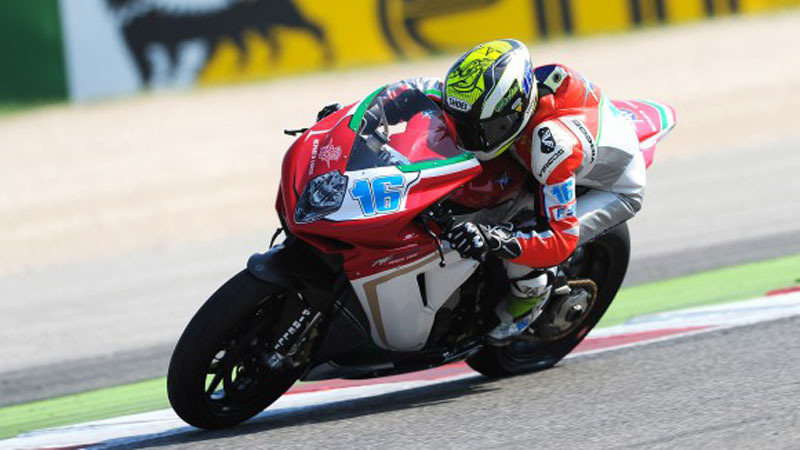 What better sporting event for a luxury MV Agusta tour WSBK Ride holiday than a World SBK race? What better occasion of the World Superbike Championship roud of Imola or the one of Misano? If you want to be close to the best international motorcycle action, then World Superbikes is the choice. With four thrilling classes with usually 5 or more races on the weekend, this is a certain recipe to thrill. Coming to a SBK weekend with V.I.P.Racing Service ensures a hassle-free experience with unparalleled access to the MV Agusta team. After enjoying the delights of our private escorted tours of Italy guided exclusively by engaging, esteemed art and culture experts and sommeliers…. or on a MV Agusta riding through some of the most famous back roads, stopping for lunch in quaint and charming gourmet restaurants, visiting medieval hamlets and experiencing “insiders” knowledge of the best roads; you will be transferred at the circuit. A day later, our Marco Lucchinelli Academy & MV Riding School coach will teach you to ride a MV Agusta F4 on a circuit. An exclusive pleasure only available to a select few. Bi-lingual tour guide and support staff to ensure your well-being on and off your MV Agusta. Minimum number of riders is 4 per ride.